South Africa, a main food exporter in SADC, is characterised by a dual agricultural economy consisting of a well-developed commercial sector and smallholder, often subsistence, farming. Using the Ricardian cross-sectional framework, we examine the impact of climate change on a nationwide sample of crop, horticulture, livestock and mixed commercial farming systems. We find that a simultaneous decrease in precipitation and an increase in temperature will reduce productivity; and that an increase in temperature alone negatively affects farm output more than a decrease in precipitation. One of the most robust findings is the difference in the extent to which different commercial production systems will be impacted. That is, the results indicate that the strongest impact will be amongst specialised commercial crop farming system. In contrast, mixed farming systems appear to be the least vulnerable. This finding is consistent with studies on small-holder farms in sub-Saharan Africa. Hence, it appears that despite the likely benefits derived from economies of scale, commercial farms are, somewhat, equally vulnerable to climate change. Further, a province-wise assessment revealed that areas that already face disadvantageous climatic conditions will become even less productive. Overall, the findings suggest that practicing mixed farming methods will strengthen the resilience of commercial farms to climate change and that access to extensions—insurance and irrigation—is likely to reduce the risks. The current study is part of a larger study funded and commissioned by the Fiscal and Financial Commission (FFC) and executed jointly by Environmental Policy and Research Unit (EPRU) and Anchor Environmental Consultant. In addition, we gratefully acknowledge helpful comments from numerous participants at the 5th annual Environment for Development (EfD) meeting. DEA (Department of Environmental Affairs) (2011a). ‘South Africa’s Second National Communication under the United Nations Framework Convention on Climate Change’, [Available at] http://www.unfccc.int/resource/docs/natc/zafnco2.pdf. DEA (Department of Environmental Affairs) (2011b). National Climate Change Response White Paper, [Available at] http://www.sanbi.org/sites/default/files/documents/documents/national-climate-change-response-white-paper.pdf. FAO. (2008). 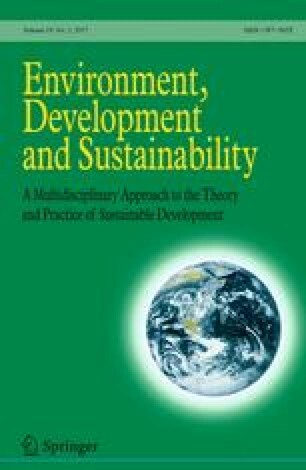 Climate Change and Food Security: A Framework Document, [Available at] http://www.fao.org/forestry/15538-079b31d45081fe9c3dbc6ff34de4807e4.pdf. Field, E. & Torero, M. (2006). Do property rights increase credit access among the poor? Evidence from a nationwide titling program. [Online: http://www.economics.harvard.edu/files/faculty/18_FieldTorerocs.pdf. Accessed 12 Oct 2010. Helliker, K. (2013). Reproducing white commercial agriculture in South Africa. The promise of land: Undoing a century of dispossession in South Africa. http://www.ru.ac.za/media/rhodesuniversity/content/sociology/documents/White%20commercial%20farms%20K%20Helliker%20seminar%20paper.doc. Stats, S. A. (2007). Census of Commercial Agriculture 2007. http://www.nda.agric.za/docs/statsinfo/Censcoagric2007.pdf.